Hypothyroidism Natural Treatment | Crank It! There are many natural treatments available to treat hypothyroidism. While hormone pills are the most common treatment, vitamins, exercise, and dietary changes are natural options to improve thyroid health. It’s important to be sure that one does not have a vitamin deficiency, so starting with a multivitamin is advisable. The best way to find a good quality multivitamin is to check health food stores; pharmacy brands will not be potent enough. Along with a multivitamin, other supplements can be taken to help the thyroid. An important vitamin for thyroid health is iodine. Kelp tablets are affordable, natural, and iodine-rich. Bladderwack, which is seaweed, is also a good source of iodine. It is considered a factor in the thyroid gland increasing metabolism. Before taking bladderwack, one should speak to a medical professional, as it can be contaminated with heavy metals. Selenium deficiency is often a factor in hypothyroidism, as selenium is an important component in the thyroid’s function. Taking too much could be harmful, so one should take care not to overdo it. 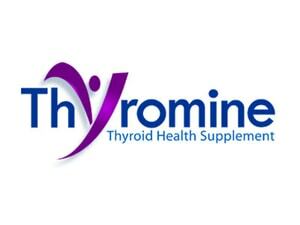 The amino acid Tyrosine helps the body produce thyroid hormones, and including this in the diet is beneficial. This helps combat hypothyroidism symptoms by improving alertness, focus and mood. Tyrosine is also essential because iodine requires it to convert to thyroid hormone. Coconut oil is also a beneficial natural supplement for hypothyroidism. It can also boost metabolism, which helps hypothyroidism sufferers who have associated weight issues. An important natural treatment option for hypothyroidism is the diet. Eating foods high in protein and complex carbohydrates and avoiding sugary, starchy foods has been shown to alleviate symptoms of hypothyroidism. This means white bread, pasta, rice and desserts are out, while fruit, non-starchy vegetables, low fat proteins and whole grains are in. Omega 3s and Omega 6 fatty acids should be a part of the diet; this means one should eat seeds, leafy greens, walnuts, cold water fish, and shrimp. Artificial sweeteners should also be avoided. Lots of fiber is advised, as is drinking at least 64 ounces of water a day. Green tea can also be beneficial, as long as it is caffeine free. In terms of exercise, it is recommended that those with hypothyroidism include a minimum of half an hour of exercise a day. This can be in the form of a walk, yoga, or Pilates, the latter two of which are considered particularly good for the thyroid. When one is suffering from hypothyroidism, it can be helpful to take supplements. This is a natural treatment option that can be beneficial to thyroid health along with hormone pills or antithyroid medicines. The first step is taking a high quality multivitamin; this can help ensure that one does not have a vitamin deficiency. When suffering from thyroid issues, one needs a multivitamin that is more potent than a pharmacy brand. It is advisable to purchase the multivitamin from a health food store or another store that that carries high quality supplements. For hypothyroidism, an underactive thyroid, one should take supplements that are rich in iodine. 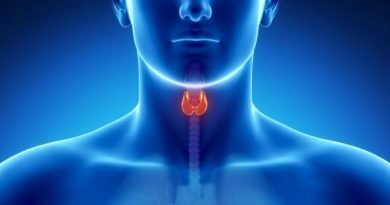 Iodine is required for thyroid function, but it should only be taken for hypothyroidism, as hyperthyroidism means there is an excess. Kelp tablets are one supplement that is iodine-rich; bladderwack, a seaweed, is another. Another important component in the function of the thyroid is selenium. This mineral helps regulate thyroid gland function. Tyrosine, an amino acid, helps the body produce thyroid hormones. In fact, iodine requires it to convert to thyroid hormone. This goes after hypothyroidism symptoms like fatigue and poor concentration by improving alertness, focus and mood. Coconut oil is also beneficial as it boosts metabolism, which has the added benefit of helping hypothyroidism sufferers with their associated weight issues. A supplement that is beneficial for overactive thyroid is Vitamin A. It helps improve thyroid function and regulate metabolic rate. B-Complex supplements are made up of eight B vitamins including riboflavin and folic acid. This supplement helps balance hormones and improve thyroid function. Vitamin C helps hyperthyroid sufferers regulate the thyroid, ease anxiety, and produce thyroid hormones that minimize the body’s oxidative stress. Another supplement that helps improve thyroid function is Vitamin E. Both Vitamin E and Vitamin D are required for thyroid function. For general thyroid health, one should get plenty of Omega 3 and Omega 6. These can be found in gel capsules or liquid form at health food stores. Today on the market, there are supplements created especially for the thyroid. These thyroid supplements claim to improve metabolism, mood, body temperature, and more. These can be purchased online. While many of these vitamins and minerals can be found in foods, it can be hard to get all the required nutrients through eating alone. This is why supplements can be very helpful in maintaining the healthy functioning of the thyroid, or improving thyroid performance in the case of the underactive or underactive thyroid. Underactive and overactive thyroid, also called hypothyroidism and hyperthyroidism, are disorders that occur when the thyroid is not functioning properly. An underactive thyroid doesn’t make enough hormones, while an overactive thyroid, as would be assumed, makes too many. With an underactive thyroid, the body’s immune system attacks its own thyroid. In less common cases, it can be caused by a tumor preventing the pituitary gland from working properly, thus interrupting the production of hormones the thyroid needs to work. Some people have an underactive thyroid and don’t realize it. Those who do exhibit symptoms like constipation, dry, pale skin, thinner hair, more brittle nails, pain and stiffness in muscles and joints, and sensitivity to cold. Those with underactive thyroid sometimes gain weight, become depressed, and feel fatigued. If left untreated, the skin can thicken, the face can become puffy, and one’s sense of taste and smell can decrease. Speech can also become slower. Underactive thyroid can be treated with hormone pills, and these usually must be taken for the rest of a person’s life. The condition can also be improved with supplements containing iodine, such as kelp tablets or bladderwack. Selenium are also essential to proper thyroid function. When a person has an overactive thyroid, the overabundance of thyroid hormone causes body functions to speed up. Symptoms include tiredness, anxiety and irritability, sensitivity to heat, increase in heart rate and goiter. Although there is sometimes an increase in appetite, weight loss is far more common than weight gain in those with overactive thyroid. Women can have irregular menstrual periods or lose their period altogether and trouble conceiving. Overactive thyroid can be treated with antithyroid medicines. These are best if one is younger than 50 and the thyroid gland is only slightly swollen. If one is over 50 or has thyroid nodules, radioactive iodine is the preferred treatment. Beta-blockers can help with symptoms like tremors but do not cure the overactive thyroid itself. Surgery is not usually involved unless the swollen thyroid gland is disruptive to swallowing or breathing. People can have either of these issues and not be bothered by symptoms, but even if this is the case, it’s important to get treatment. Symptoms can become more severe, and damage can be done to the body. In keeping both underactive and overactive thyroid under control, a diet high in protein, whole grains, and fresh produce is recommended. While those with underactive thyroid are advised to eat seafood, those with overactive thyroid are advised against it. Both should avoid processed, starchy, sugary foods. While people disagree about how much difference a person’s diet can make in their hypothyroidism symptoms, some feel that dietary changes can have a positive impact. There is much debate about this, but all can agree that a healthy, well balanced diet is beneficial to anyone regardless of whether a person has hypothyroidism. To alleviate symptoms of hypothyroidism, some advise eating foods high in protein and complex carbohydrates. Fruit, non-starchy vegetables, low fat proteins and whole grains should be included, as well as Omega 3s and Omega 6 fatty acids. These can be found in seeds, leafy greens, walnuts, cold water fish, and shrimp. Other good choices for hypothyroidism sufferers are foods high in iodine, such as yogurt, eggs, oatmeal and potatoes. Brazil nuts and some lean meats are good sources of another important part of kidney function, selenium. Natural foods should be favored over processed. In a hypothyroidism diet, plenty of fiber is advised, although too much can interfere with the absorption of synthetic thyroid hormone. One should also take care to drink at least 64 ounces of water a day. Green tea can also be beneficial, as long as it is caffeine free. One thing that many doctors do agree on is foods that should be avoided, as certain types of food can interfere with the positive affects of hormone medication. Foods high in salt should be avoided for this reason. Consumption of white bread, pasta, rice, chips and desserts should be cut down or eliminated. Artificial sweeteners should also be avoided. Goitrogenic foods (foods that can contribute to the development of goiter, an enlargement of the thyroid gland) should be eaten in small amounts or eliminated entirely. These include broccoli, kale, soy, cabbage, strawberries, peaches, pears and radishes. Some advise hypothyroidism sufferers to cut back on fatty meat and alcohol. In a similar vein to certain foods affecting hormone medication, supplements can cause similar issues. When taking iron or calcium supplements, one should wait several hours before taking hormone pills. This is also the case with certain antacids (containing aluminum and magnesium) and cholesterol and ulcer medications. Some believe a hypothyroidism diet should include five to six small meals eaten throughout the course of the day. No more than five hours should pass between meals. Along with a healthy diet, hypothyroidism sufferers should also take a good quality multivitamin and get at least 30 minutes of exercise a day.